Teachers in more than thirty cities across Iran protested for the second consecutive day on Monday. The teachers, who plan to continue their sit-in tomorrow, are protesting low pay, low-quality insurance and benefits, and gross mismanagement of the education system. Iran’s teachers staged a number of strikes and protests over these issues last year, but their demands went unanswered, so they were forced to protest once again. Teachers are among the many government employees and retirees who are actively protesting the regime’s corruption and mismanagement of Iran’s economy. As the rial continues to plunge in value, people from all sectors of society are struggling to provide for their families. Teachers’ salaries have remained stagnant despite skyrocketing inflation, making their financial situations particular dire. The regime parliament is currently negotiating the budget for the upcoming Persian year, As the March 21st deadline grows near, teachers are worried that education will not be receive adequate funding and that teachers, government employees, and schools in general will continue to suffer due to the regime’s misplaced priorities. The regime spends billions of dollars every year exporting terrorism, funding conflict in the region, and building its nuclear program. Meanwhile, the people of Iran fall further into poverty. 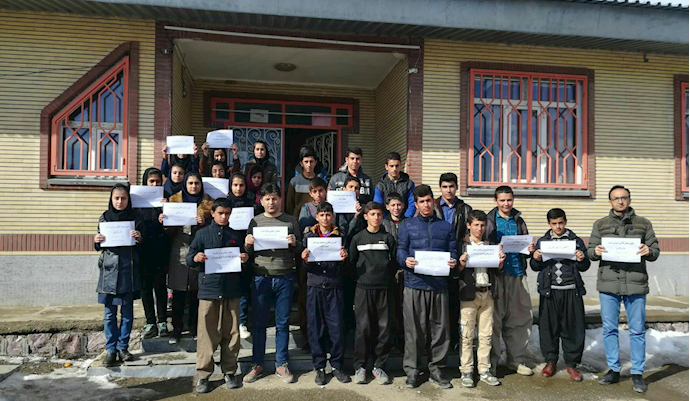 Iran’s teachers struggle to meet their basic needs, and protesters say that the Ministry of Education is doing nothing to help. the right to organize labor unions. Last year Iranian teachers held a number of protests and strikes, receiving widespread support from the Iranian people. In May, October, and November teachers in a number of cities across Iran launched strikes that lasted for several days. The teachers of Iran have continued their protests despite retaliation and intimidation by the regime. 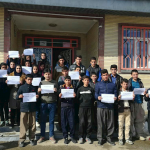 Numerous activists and protesters have been imprisoned for speaking out against the unfair conditions faced by teachers, but the brave educators of Iran will not be deterred. The regime’s tactics of suppression are no longer effective in the face of organized resistance.